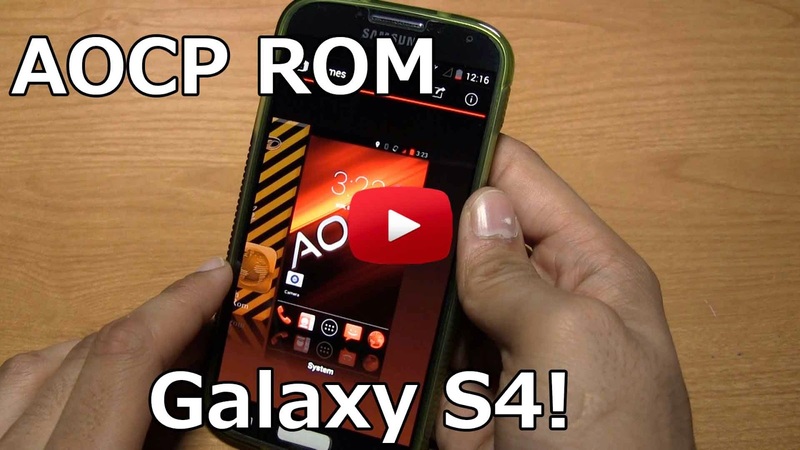 AOCP ROM for Galaxy S4! [GT-i9505/T-Mobile/AT&T/Canadian] ~ AndroidRootz.com | Source for Android Rooting, ROMS, Tricks and More! AOCP, not AOKP ROM for the Galaxy S4 GT-i9505, T-Mobile, AT&T, and Canadian variants is here! This is the first time I heard about this ROM, but i'm not disappointed at all! First of all this ROM has a nice red and black theme to it, covering a lot of the phone including the lockscreen, some icons, and of all of the settings! You also get a bunch of AOCP wallpapers that come in a wide variety of styles and colors! You can also apply the included icon pack via themes in settings. AOCP ROM also gives features for your lockscreen and personalization options for your entire phone like Halo, Appbar, status bar feature, and even Active display! Note: If you can't get any network signal open up Settings and go to More > Mobile Networks > Access Point Names and select the correct one! Download AOCP ROM for the Galaxy S4 GT-i9505, T-Mobile, AT&T, Canadian using the links below!